Master Josh Emamy was introduced to the art of Taekwondo at the age of 2 years old by his father, Master Masoud Emamy. From a very early age Master Masoud Emamy taught the principles of effective Taekwondo tuition and training to his son, who would later take and continue to develop those skills and successfully build one of the largest Martial arts organisations in Australia. 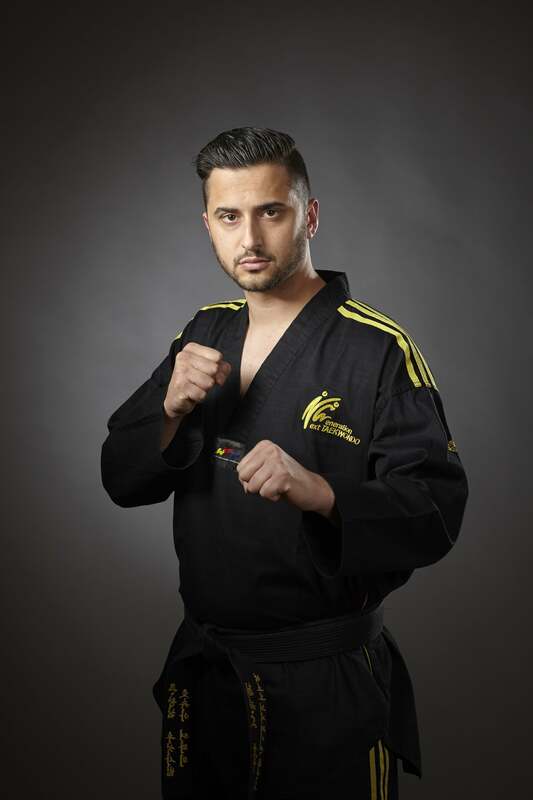 At the age of 17, after successfully completing high school education, Master Josh made a decision to devote himself to a career which would later fulfil his lifelong ambition of building a Martial Arts school that was recognised as the market leader in Taekwondo tuition. Next Generation Taekwondo, a name full of meaning, acknowledging the continuation of knowledge being passed from Instructor to Student, quickly was evolving in becoming the market leader from very early on. In the early years Master Josh was faced with many obstacles along the way, while still quite young in age, he continued to defy the odds and take his passion for teaching and his skills acquired from a lifetime of training to successfully design and build programmes suitable for toddlers, children, adults, families and special needs. Master Josh's programmes grew in popularity rapidly and South Australia saw the expansion of his organisation from a single studio to multiple locations. His success did not go unnoticed with recognition from local and state media, television stations, state politicians and government departments. Master Josh's vision of "making every child smile" saw the successful creation of the "Champions 4 Life" Anti-bullying & Character development programme and the "Gain the Edge" special needs programme which now plays an integral part in the children's curriculum. Today, Next Generation Taekwondo is home to over 2000 members across 6 World class training facilities. Master Josh's vision remains unchanged, to continue to influence and better the lives of many through the art of Taekwondo.